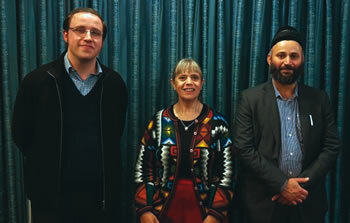 Keeping a ‘holy day’ each week is something Abrahamic faiths have in common, according to leaders of New Zealand’s Jewish, Christian and Muslim communities. Organised by Wellington’s Abrahamic Council, the leaders all spoke of the centrality of prayer on their holy day. "Our holy day is the seventh day of the week. We call it the Sabbath (also Shabbat, Shabbos)", scholar of Orthodox Judaism, Tadhg Cleary says. Sabbath lasts about 25 hours, beginning on Friday at sunset and finishing on Saturday with the appearance of three stars. Observing the Sabbath is the most important ritual in Judaism. Besides strengthening individuals, observance strengthens families and communities. Shabbat’s essence is found through prayer. On Shabbat, Jews are obliged to pray four times. It is a day imbued with sanctity – as it was on the Sabbath, God ‘sanctified’ the day. Since ancient times, observing the day of rest from all work on the seventh day has been a defining characteristic of Jewish people. Even today, the way people define themselves as a Jewish person who observes all the rituals is by saying they’re a ‘shomer Shabbat’: a person who typically strives to follow all the rules associated with the Sabbath. Tadhg says Shabbat is commanded 22 times in the Talmud (the five books of Moses). “If we were to divide the 10 commandments between the ethical (e.g. not killing or stealing) and ritual, we’d find Shabbat is the only ritual commanded by God”. The Jewish prophets urge people to observe Shabbat, while sages of the Talmud say that keeping Shabbat has the same weight as the entire corpus of the Torah’s commandments. For those who observe Shabbat, the sages say “it’s as if they keep every detail of all other commandments”. Sunday is Christians’ holy day. Reverend Jenny Dawson says Sundays have changed since she was a child. The quiet Sundays with church, special clothes, hats and roast lamb have gone. Unlike today, most shops were closed. 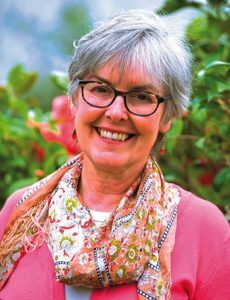 For Christians, Jenny says, besides Sundays, other days like Good Friday, Christmas – and maybe Anzac Day, albeit from a very Christian perspective, are also considered holy. However, Sunday “is where it started” for Christians. It’s the heart of Christians coming together. “In the Bible there are at least five different aspects to Sunday in the Christian tradition”, Jenny notes. Firstly, every Sunday is ‘an Easter’. Jenny says we have to begin with the Resurrection, which is the first thing that’s distinctive about our Sunday. Jesus rose from the dead early on the first day of the week (Sunday) and then appeared to a number of his followers. Secondly, Pentecost – a Jewish festival celebrated on Sundays, was the day the Holy Spirit came upon Mary and the apostles. This was also the day on which the Church was established. Furthermore, Christians have always assembled on Sundays to remember Jesus, dividing bread amongst themselves and drinking from a cup of wine – a ritual we call Eucharist. 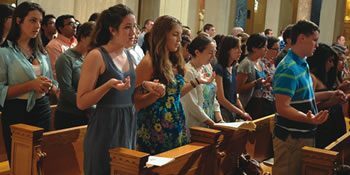 Eucharist is the major activity on Sundays for Anglicans, Catholics and Orthodox Christians. Other denominations celebrate the Eucharist less often – perhaps quarterly. Instead, they focus on the bible and preaching. During the Eucharist we acknowledge the past, the life, death and resurrection of Christ, especially the night before he died, recognise Jesus’s presence with us, and his hope and our responsibility for the future. The Catholic Church teaches that the Eucharist is "the source and summit of the Christian life" (Vatican Council II, Lumen Gentium, 11). In its document Sacrosanctum Concilium #47, the same Council declared, "At the Last Supper, on the night he was betrayed, our Saviour instittuted the Eucharistic sacrifice of his Body and Blood. This he did in order to perpetuate the sacrifice of the cross throughout the ages until he should come again, and so to entrust to his beloved Spouse, the Church, a memorial of his death and resurrection: a sacrament of love, a sign of unity, a bond of charity, a Paschal banquet in which Christ is consumed, the mind is filled with grace, and a pledge of future glory is given to us". Finally, a collection of money is also an ancient characteristic of the Christian holy day, so alms can be spent on those in need. Tahir Nawaz, President of New Zealand’s International Muslim Association, says that in Islam there are a number of significant holy days. These include the Festival of Feasts -- which marks the end of Ramadan, the Islamic holy month of fasting. Another is the Festival of Sacrifice, which honours the willingness of Ibrahim to sacrifice his son as an act of obedience to God. While Ramadam is considered ‘the best month’, Tahir says that in Islam the best day is Friday. It is the “Mother of all days – the most virtuous in the sight of God”. It is more significant than all other festivals. “Today I have perfected your religion for you, completed my blessing upon you, and have chosen for you Islam as your religion”. Friday’s importance is often underscored in scripture, Tahir says. For example, the Prophet Adam was created on Friday, entered the heavenly gardens on a Friday and the last day (the resurrection) will be on a Friday. 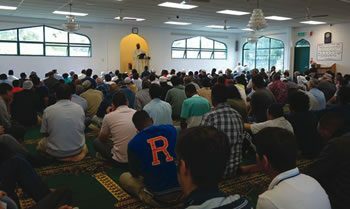 Tahir explains that the Quran commands that when the Friday call to God is made, people must leave their businesses and other work to hasten to worship. It is a day of congregation, celebration, contemplation and supplication. Congregation prayers are obligatory and are a strongly emphasised duty. It is a time Muslims come together, to worship God, find strength and comfort from standing shoulder to shoulder, to reaffirm their faith and to worship Allah. During a blessed hour - between early evening and sunset on a Friday – anything lawful may be answered in prayer and all minor sins are forgiven. In most Muslim countries, Friday is a holiday, combined with either Thursday or Saturday. Although businesses must be closed during congregational prayers, they can be open at all other times. Many Muslims in NZ take their time off for Friday prayers at lunchtime. Friday prayer may not be neglected, as ignoring it three times in a row without a valid reason will cause believers to stray from the straight path.